From time to time during my travels, I come across signs that I find interesting for one reason or another. Sometimes, they contain clever writing, are humorous, or remind me of some place or event. Here are some more from various trips. 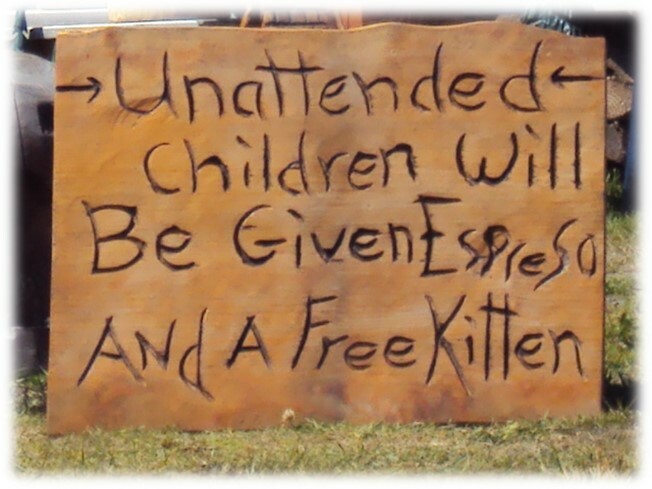 I came across this sign at a woodcarving gallery on the Olympic Peninsula of Washington State in the US. The idea is to keep your kids close to you and make sure they don't break anything. 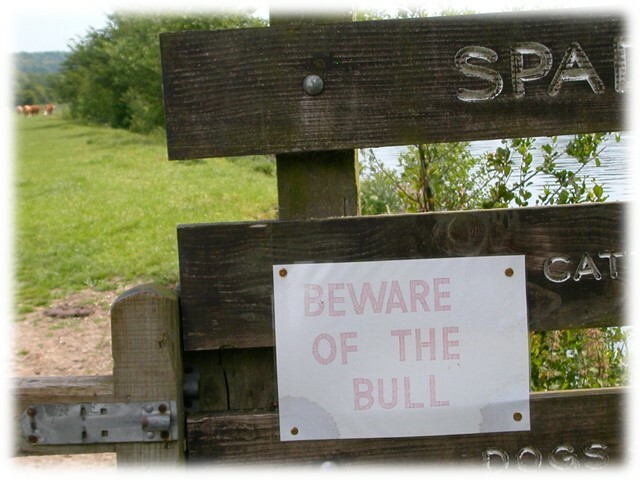 In the early stages of hiking the Thames Path (see my essay A Walk along the River from July 2011), I came across this sign. I had no doubt it was a real warning, but I didn't expect to come across that kind of obstacle in England. Talk about false advertising! 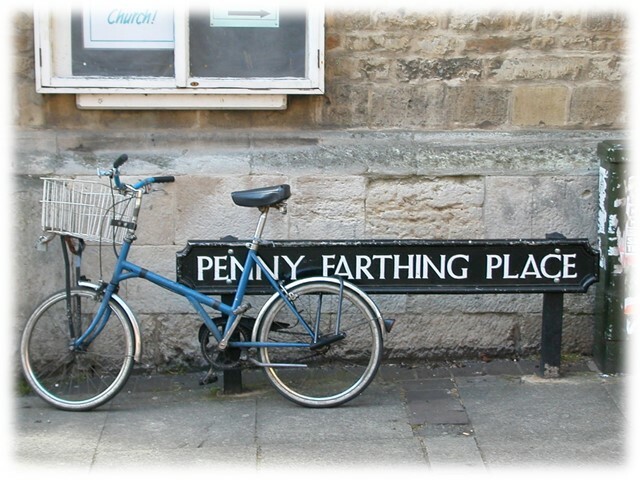 That ain't no penny farthing bike! Hmm. 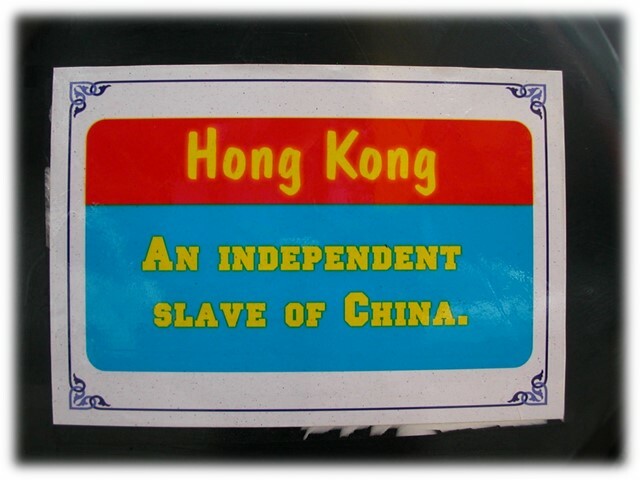 I first visited Hong Kong in 1979, when it was a British protectorate. 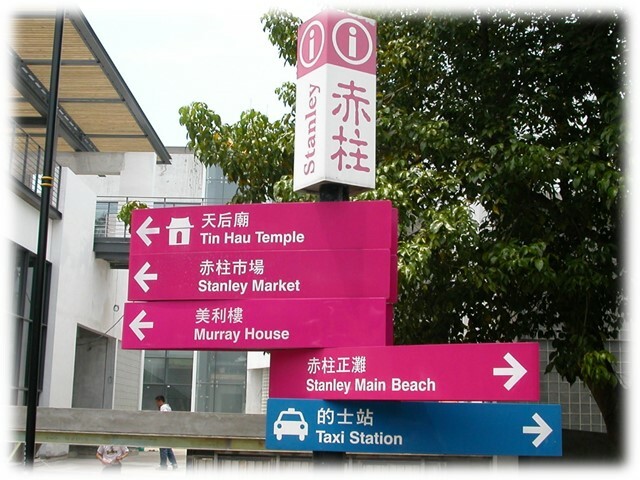 My second visit was in 2002, after it had become a Special Administrative Region (SAR) of China. 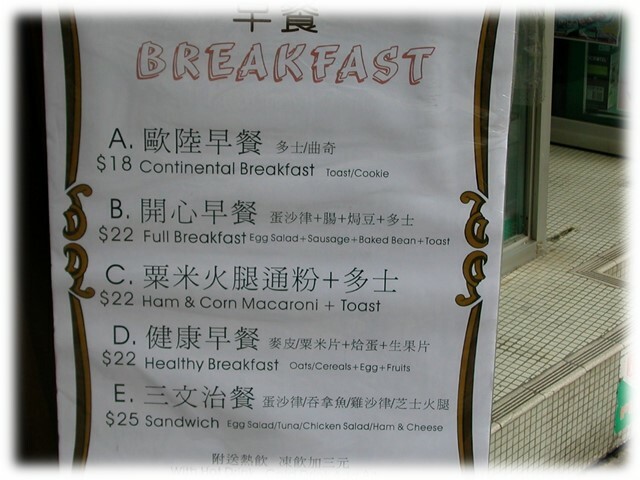 Some interesting breakfast choices in Hong Kong with prices in HK$. Cookies and egg salad for breakfast! What were they thinking? Let me get this right! 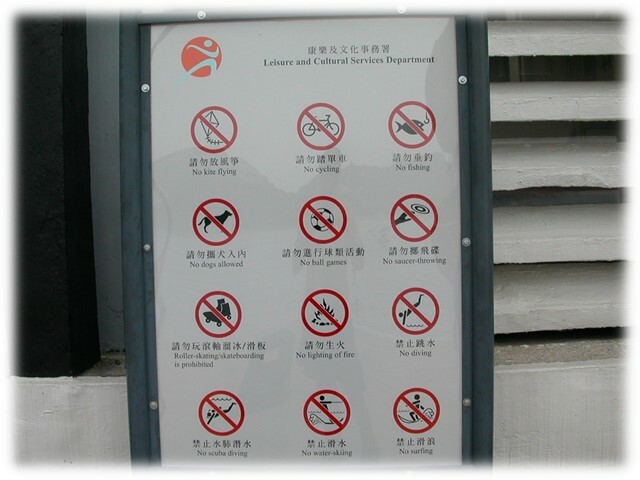 The Hong Kong Government wants me to have a good time at the beach, but without flying kites, cycling, fishing, dogs, ball games, saucer throwing, roller skating or skateboarding, fires, diving (scuba or otherwise), water skiing, or surfing. Apparently those chicken scratchings above the English words mean something to the locals, but I'm darned if I know how they get a sound from those characters. It seems to work though; a billion-plus people have mastered it! Seen in a remote location in England. Now the current Queen is Elizabeth II, which in Latin (as I'm sure you all know) is written as Elizabeth Regina. Hence the ER on current UK coins and letter boxes. GR signifies George Rex, King George. ER's father was George VI, who died in 1952, and his father was George V, who died in 1936. Regardless of which one this box was named for, it goes back at least 64 years. 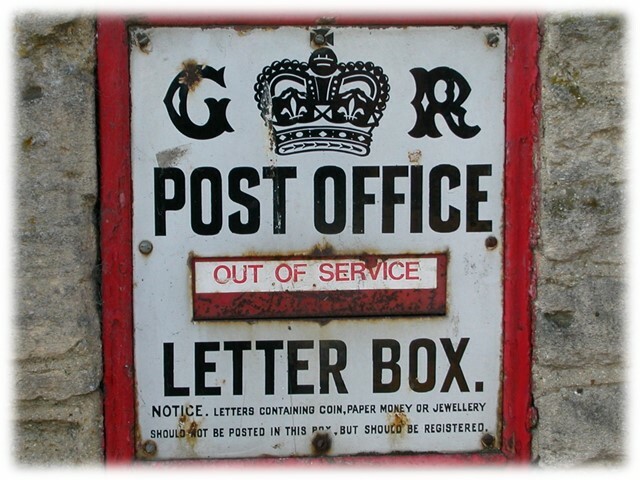 Posting a letter here made me think of the dead-letter office! 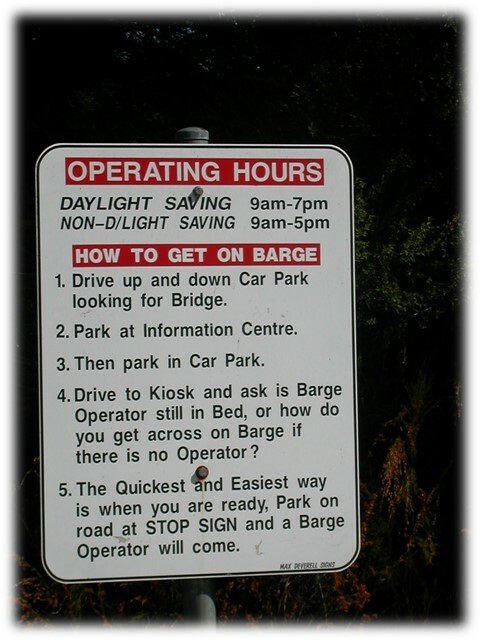 How to get yourself and your car across a narrow river on the west coast of the island state of Tasmania, Australia. Another one from the west coast of the island state of Tasmania, Australia. 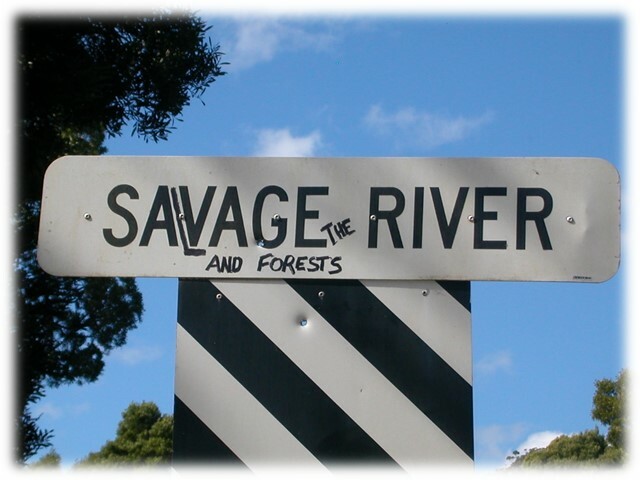 The locals have a long and strong history of "Saving the Planet". 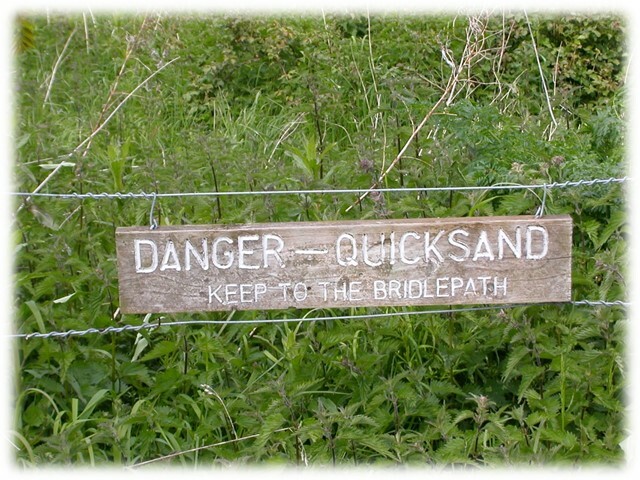 Another sign I encountered during my 187-mile walk along the Thames Path, England. Yes, there was a bull, but No I wasn't wearing red. That said, I must say that I kept looking over my shoulder regularly as I crossed through that field, all the while being careful to not ogle the fine heifers. Although this sign on the W&OD Trail in Virginia, USA, "says it all", it seems to me a wee bit challenging for most people to figure out. 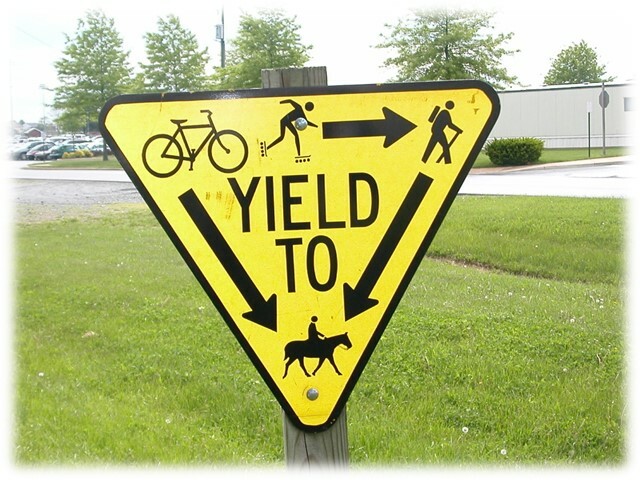 Let me see now: Everyone must give way to someone on horseback, cyclists and rollerbladers must give way to hikers, who in turn must give way to someone on horseback. Pardon my French! 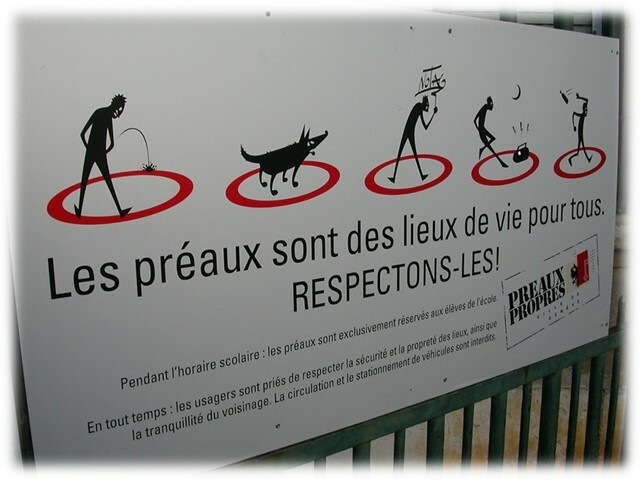 Let me see now: no urinating, no dogs, no writing graffitti, no boomboxes, and no throwing bottles (trash). I have to say that the urinating bit reminded me immediately of Harvey Korman (I think it was) calling out for the "piss boy" in the movie History of the World, Part 1, when the courtiers were playing chess outdoors using people as pieces. 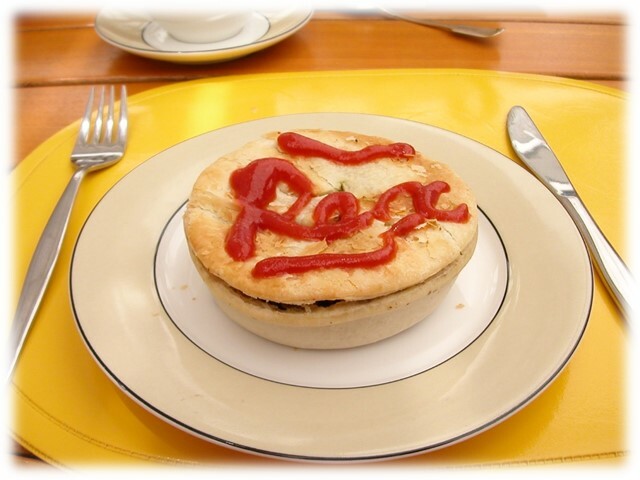 A signature meat pie in Australia. Ohh! What I'd give right now for a pie with dead horse (rhyming slang for [tomato] sauce; ketchup, that is). 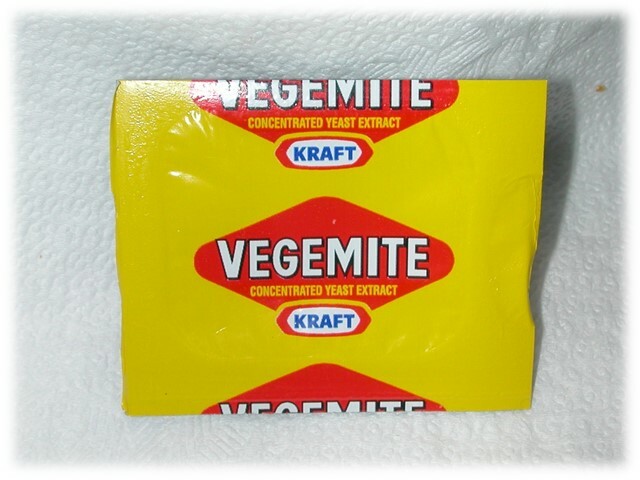 For their regular concentrated yeast extract fix, Aussies spread Vegemite on their buttered bread or toast (not to mention their erogenous zones). Now certain other countries (including the UK and New Zealand) have a pretend competitor called Marmite. Some time back, NZ's only Marmite plant was out of action for an extended period, and in a hands-across-the-Tasman-Sea goodwill gesture, the Aussie Prime Minister offered his NZ counterpart some Vegemite food parcels. The Kiwis graciously declined saying they were not yet that desperate! 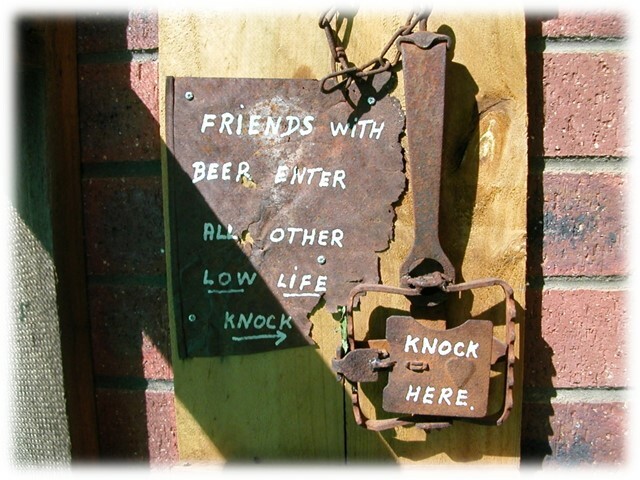 The "doorbell" on a farmhouse in rural Western Australia. Having trapped rabbits as a boy using exactly that kind of trap, I know from experience what it is like to get one's fingers caught in it. However, if you look closely on the bottom-left side, you'll see that the trip-bit has been welded to the plate. For many years now, such traps have been outlawed, at least in my home state, South Australia.